Hawthorn is a smaller school that will make a big difference in a girl’s life, one student at a time. It is a unique place that explores each girl’s potential in a smaller learning environment that knows them individually and recognizes and responds to their needs alone. Hawthorn’s all girls environment, small class sizes, and one of the lowest student-to-teacher ratios in the country, provides a unique kind of student-by-student learning that is proven to differentially prepare students for reaching and succeeding in the next phase of their learning-and beyond. We respect the shared goals of our students and their families. 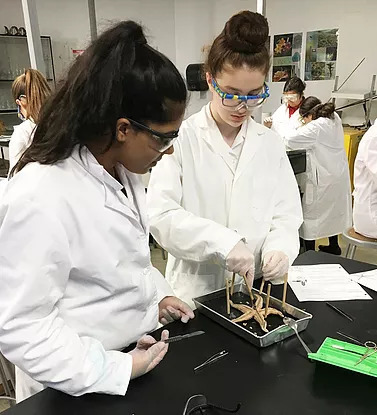 We pride ourselves not only on preparing the girls for a postsecondary education, with a 100% university acceptance rate, but also on helping them to succeed in their life’s path – no matter what it may be. 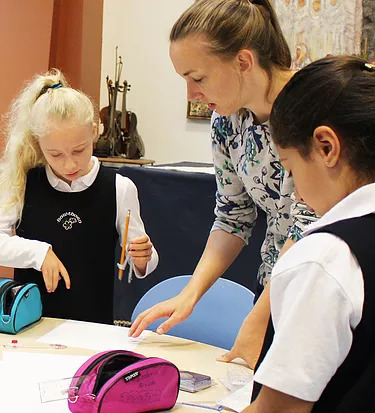 Our Classical Liberal Arts Education provides cultural literacy, critical reasoning skills, and aid in the growth of virtue, in a smaller school environment that allows teachers and mentors to know every girl, their personal interests and abilities. This fosters a truly individualized education and allows every girl to leave her mark in her own way. Our goal is to make a difference in each girl’s life and we take that to heart. Although what the Hawthorn Difference will mean for each girl will depend on their individual needs and goals, the way it is delivered is set upon a common foundation of five key pillars: Pursuit of Excellence in Education, Personal Mentorship, Partnership with Parents, Leadership through Service, and All Girls Advantage. One of the ways that we keep making a difference is by listening and changing, but not only the requirements of an increasing competitive and complex world – but by listening to and working together with parents. Hawthorn was founded upon the principal belief that parents are the primary educators of their children, an our commitment to educate together in partnership with them, is part of what continues to make Hawthorn different. The commitment to academic excellence results in a program for acquiring knowledge, honing skills and analyzing the connections of different disciplines and fields of study. In keeping with the tradition of a Classical Liberal Arts curriculum including the Sciences, a Hawthorn education is not limited to the basics of who, what, when and where. Rather, this know-how acts as a catalyst for determining the fundamental truths of life and our human existence, our place in history and what changes we can affect in the world. Moreover, because Hawthorn’s founding principles are inspired by the Catholic faith and the teachings of the Catholic Church, the human drive towards excellence is directed to the service of others, for the glory and love of God. Hawthorn strives to build well-rounded young women through a classical liberal arts curriculum that is university preparatory. The three main aims of the academic program are: to build cultural literacy, develop critical reasoning skills, and aid in the growth of virtue. A strong foundation of language arts and mathematics is emphasized in Lower School. 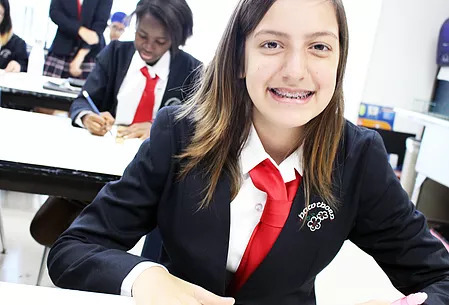 In the Upper School, mandatory courses in Philosophy, Latin, Ethics and World History round out the Language, Math, Science, and Arts programs. Recognizing the existence of fundamental truths, the understanding of which are necessary for a meaningful life, Hawthorn School adopted a core curriculum based on the classical liberal arts tradition. At Hawthorn we emphasize respect for the dignity of each individual and enable students to realize their full potential. The curriculum aims at excellence, not an excellence which is marked by good grades, but one which is reflected in each student’s ability to think critically, reason logically and intelligently, and express herself clearly and persuasively. The pursuit of academic excellence is very much in keeping with the teachings of the Catholic Church. Students learn, through theory and practice, to exercise the virtues in their lives – at home, in school, at work and in the greater community. The Mentor Program serves as the cornerstone of Hawthorn’s Character Education Program. Students are assigned a mentor from grade 2 to 12. The mentor is a well-trained, experienced, female role model who meets with the student throughout the school year to provide personal guidance. Mentoring affords each student the opportunity to work with a trusted and experienced mentor on the different things in which she can improve, as she relates to her family at home, teachers and classmates in school, does her work and deals with the challenges life may present her. Each student is unique, with her own set of strengths and weaknesses. Mentors recognize this and, through mentoring, help each student to determine what they need to do in order to work well, identify things to be improved on, and develop a stronger character in the course of doing ordinary and everyday things. Virtues are good habits. As habits, they need constant practice and application in all aspects of one’s daily life. Open and regular communication between mentors and parents allow for better understanding of both sides as they work towards the common goal of helping the student become a better person as a whole. In both the Lower and Upper Schools, each student (grades 1 – 12) is assigned a mentor from among the Hawthorn staff at the beginning of the academic year, with whom she meets regularly. Mentors make every reasonable effort to be available to their mentees when they need assistance or to discuss particular concerns they may have. Parent-Mentor meetings are officially scheduled twice a year, as well as at the parents’ request or as necessary. In the Junior School, each family (PS, JK & SK) is assigned a mentor from among the Hawthorn staff at the beginning of the academic year. 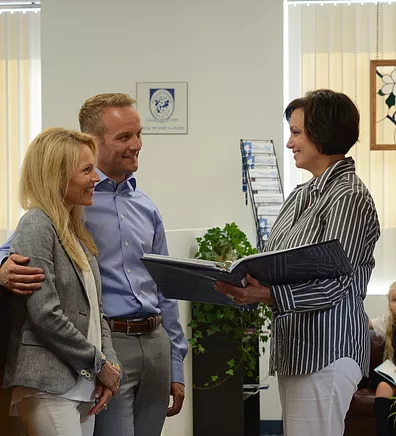 Meetings between Junior School parents and their mentors are also officially scheduled twice a year, as well as at the parents’ request or as necessary. Mentoring sessions will include determining personal goals for each mentee, depending on what their particular situation or circumstances may be. 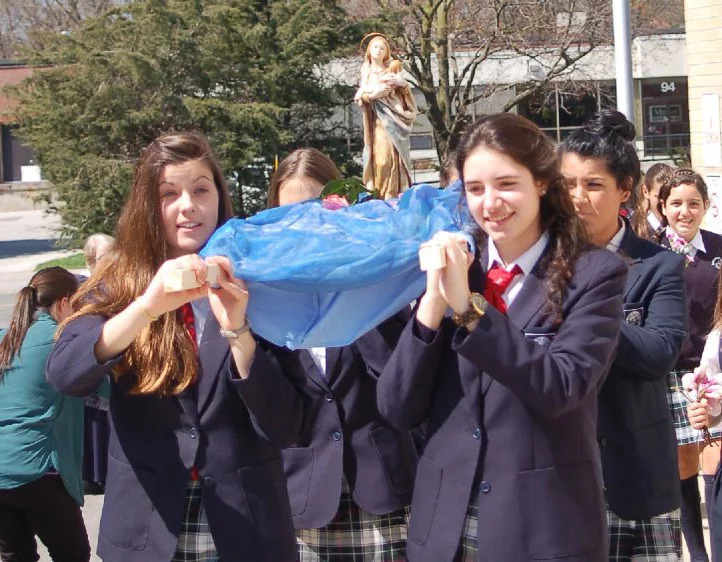 With the objective of helping our girls become confident women of integrity and faith, committed to the betterment of society, we believe it is essential for our students to see the connection between leadership, service and social responsibility. The practice of good moral habits or virtues complements the building of this foundational body of essential knowledge and skills. Together, these inspire the minds of our students to heights of big dreams, grand ideas and the pursuit of excellence. Hawthorn students are helped to understand that this privileged position bears with it the blessed opportunity and responsibility of helping those around them. It is both a duty and a gift to be of service to others, and to be a leader in this way is to be so, not for the sake of prestige, but for the good of all. Service projects and other similar initiatives provide opportunities for the students to extend themselves to others by giving of their time and talent generously throughout the school year. Service projects may involve an organized visit to a charitable community organization to help with their work, such as Canadian Food for Children, Good Shepherd Ministries and St. Francis Table. They may also involve smaller opportunities to help out in school with various activities and events, affording Upper School students with the chance to earn service hours, if they wish. Hawthorn girls are courageous and confident. Emphasis is placed on being generous with one’s time and talents. Inspired by teachings of the Catholic Church, leadership roles are recognized as opportunities to be of service to those around us – those who need help the most. 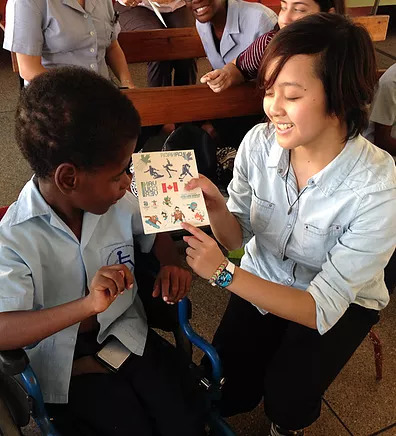 Hawthorn School is proud to provide our senior students with the opportunity to take part in the International Service Project in Peru or Trinidad and Tobago. The Condoray Project in Peru was started in 1963, in the poverty-stricken region of Canete Valley, as a women’s training center with the goal to stimulate the socio-economic development of the region. To achieve this aim, Condoray runs many different courses such as basic literacy, child-rearing, basic employment training, and nutrition to name a few. “During our trip to Trinidad and Tobago we also cleaned and painted a school library. This took us four afternoons, and involved killing hornets and spiders, painting the whole upper half of the walls using one broken ladder, and sorting through hundreds of dusty, damaged books. Even though it had its interesting challenges, we had many spectators, comprised of the school’s students and teachers. It was a lot of fun, and the end result was very satisfying. Hawthorn’s goal of sending students overseas is to develop and foster in them a sense of awareness of the needs of the developing world, to experience firsthand the effects of poverty, and to learn about the Church’s role in social justice and global solidarity. Several “Generosity Projects” are organized each year to foster a spirit of service and generosity in the students. Students are encouraged and given the opportunity to share with those less fortunate. Footprints in the Snow(Winter Clothing Drive) – This generosity project benefits those who may be struggling to find warmth and protect themselves from the elements during winter, with collected items going to persons or families in need in the Greater Toronto Area, such as the Good Shepherd Ministries as well as newly-arrived refugees. Mothers and Babies Generosity Project – We collect items for new or expectant moms at risk, as well as babies (infants and toddlers). These items are donated to the Sisters of Life Toronto, whose apostolate involves working with and supporting expectant and new mothers and their babies. The teachings of the Catholic Church are at the heart of a Hawthorn education. 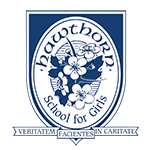 Hawthorn School provides an education directed to achieving the harmonious development of the whole person: mind, will, heart and body. Through the school’s classical liberal arts curriculum and the interdisciplinary character of our programs, students are led to search, know and love the truth about who they are, the meaning of life, the dignity and respect of every human being as children of God. Altogether, parents, mentors and teachers, guide and challenge the students to exercise human and Christian virtues, integrating their faith into all areas of their life, so that they might live according to their beliefs and dignity, becoming confident women of integrity and faith. Students are encouraged to use their reason and ask questions, explore the reasons for their faith and learn to distinguish between essential matters of faith and questions of culture and history. The study of moral theology enables them to discern the morality of human acts and facilitates their search for goodness, truth, love and respect for other human beings. We at Hawthorn respect and offer a friendly culture that respects students of all religions and backgrounds. Catholics, non-Catholics and non-Christians are welcome, coming together as one respectful and cohesive community. Everyone -parents, teachers and students – is welcome and free to participate in the spiritual activities. 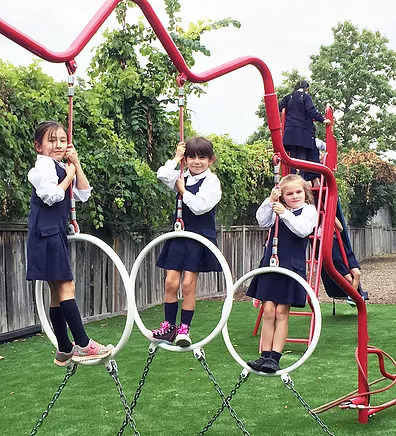 Since 1989, the parents who founded Hawthorn School, inspired by the spirit of St. Josemaría, founder of Opus Dei, entrusted the school’s chaplaincy and spiritual activities to the Prelature of Opus Dei, a personal prelature of the Catholic Church: www.opusdei.ca.